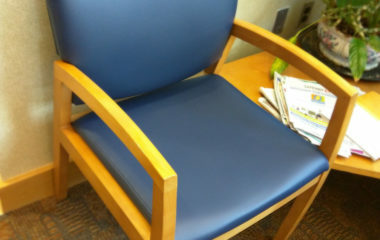 We’ve really enjoied doing the dental chair upholstery for Dr. Sean and Dr. Nelle at Children’s Dentistry. 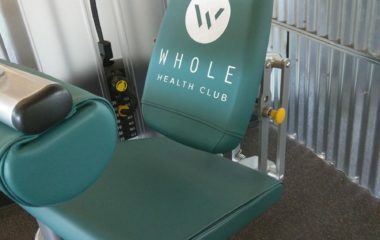 We’ve completed several recovers of their chairs in the past. Two are particularly notable: one we made to look like a football and another to look like and X-Wing. 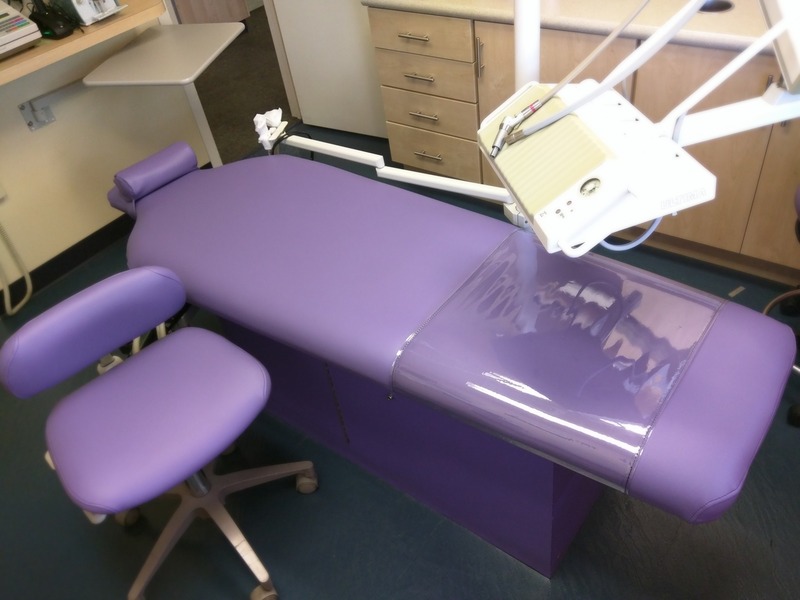 At Children’s Dentistry they are constantly doing something, and not just upholstery, which is bright and exciting which keeps the environment comfortable and lively for their patients. 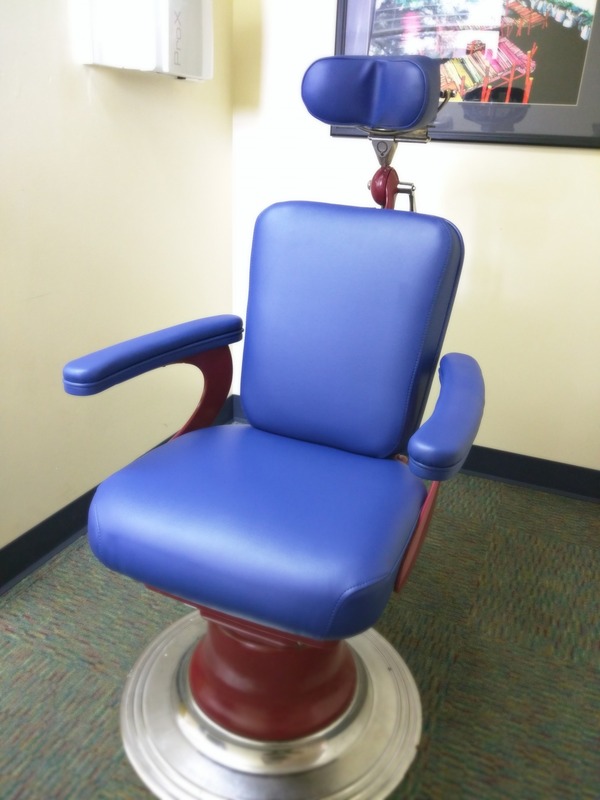 For these dental chair recovers Dr. Sean asked us to update a few of the colors as well as adding foam to their specialty tables for their patients comfort. We met so that measurements could be taken and reviewed colors. We provided them with a bid and once the work was approved we scheduled service. The day of service we arrived early and coordinated with the staff as to which chairs we would be able to service. 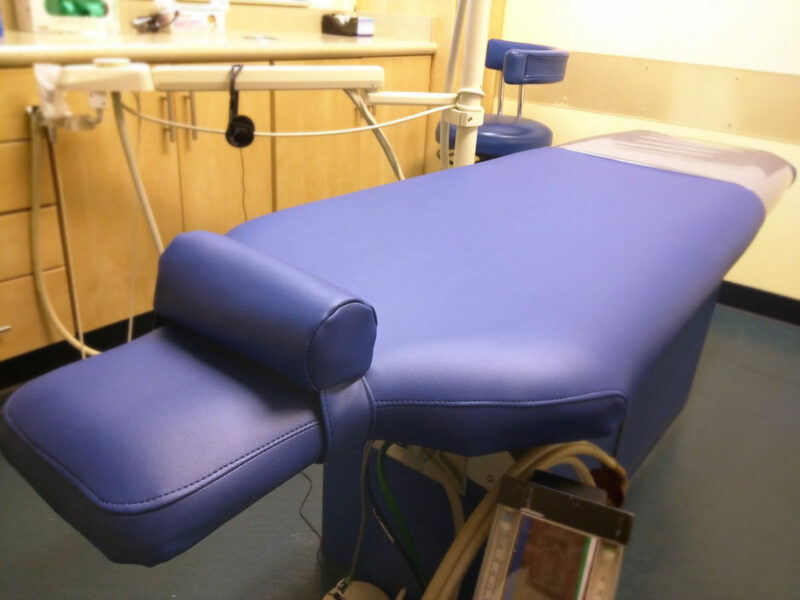 Even though our first day of service was particularly busy for the office, we easily worked around the doctor so that no patients would be disturbed and the clinic could still operate smoothly. We completed 5 chairs over the course of two days; on average each chair took two and a half hours. 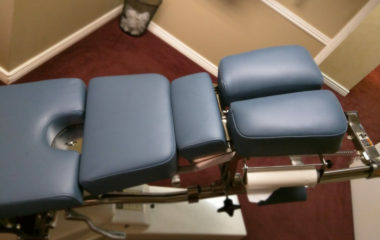 When we complete service on dental chairs everything is custom patterned. 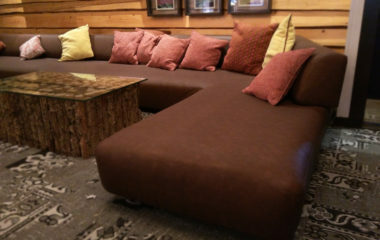 We take the time to ensure we don’t rely on an outdated patterns that won’t fit correctly. Nothing contributes more to the wear of vinyl than when it is wrinkled or loose. Everything in the materials we use to the techniques in which the material is cut and sewn is done to maximize the life of our work. Your enthusiastic satisfaction is our goal!